Usually associated with golden beaches and hazy sunshine, Spain has now developed a strong reputation as an excellent ski destination thanks to its impeccably-maintained runs, great value resorts and hotels, friendly atmosphere and high-quality ski schools. 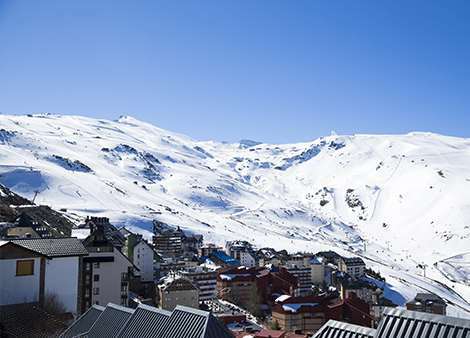 Spain’s ski areas are spread across the northern and southern areas of the country. The Spanish Pyrenees is made up of 16 resorts scattered across the Catalonia and Aragon Pyrenees, where there are a variety of incredible runs for skiers to explore, including Formigal and Bagueira. The other top areas in the country are based in the south, where travellers can enjoy the varied runs based in the beautiful Sierra Nevada and enjoy glorious weather for a balance of sun and snow. With a glowing reputation across the world, Baqueira boasts excellent snow conditions, a range of runs in a truly magnificent landscape. The resort stands at 1,500m and there are 149km of well-maintained runs. It is split into three areas: Baqueira, Beret and Bonaigua. Many of the slopes are based above 1800m and all three areas are easily reachable through a highly efficient lift system, ensuring that tourists can take advantage of the resort’s runs without any hassle. The majority of the runs in this resort are aimed at intermediates, though there are some challenging couloirs to appeal to more experienced skiers. There are also a number of options off-piste to entice skiers and snowboarders with more advanced skills on the slopes. Thanks to its modern aesthetics and wide variety of slopes, Formigal is one of the most popular ski resorts in Spain. Visitors can take advantage of 176km of downhill ski runs and 147 separate pistes. The majority of the resort’s runs are based on north and north-west facing slopes, which are all situated above the tree line and on grassy meadows to provide an immaculately smooth surface for skiers. There are beginner areas for those who are trying the sport for the first time, along with more than 30 runs designed for both the intermediate and advanced levels. Night skiing is also available at the resort, with skiers and snowboarders able to test their skills on a timed slalom track. The resort provides riders with a video recording once it is done, so you can reflect on your run and take home a unique souvenir! If sun and skiing is your ideal mix, Sierra Nevada could be the perfect resort for you. There is no need to worry about snow melting either, as an artificial snowmaking system is used to guarantee great conditions for skiers. The resort is a good option for beginners, with English-speaking instructors on-site to offer professional tuition to introduce newcomers to the sport and help them feel comfortable on the slopes. Intermediates and experts have plenty to look forward to, as courses used in the World Alpine Ski Championships offer exciting challenges. As well as this, Sierra Nevada is unique in offering alternative options including cross-country, artistic and telemark skiing among other snow sports. Baqueira ski season generally runs from December to April and you can enjoy the snow in Formigal between November and April, while Sierra Nevada’s starts in November and closes in May. However, all of the resorts may encounter partial closures, so it is important that this is checked before you decide where to ski. All three resorts offer plenty of things to do once you’ve taken off your skis. Formigal is renowned for its mix of nightlife, with Marchica the perfect choice for those looking to party. Those after a more laid-back evening should opt for the mountain-side San Miguel Bar, which offers picturesque views of the slopes and a great drinks menu. Similarly, Baqueira is close to the wonderful Vinacoteca Alsur wine bar and many hotels host their own night-time entertainment. Further south, Sierra Nevada has a glowing reputation for its lively nightlife thanks to the many disco-bars in the resort, where travellers can take part in one of several fiestas going on well into the night. Alternatively, if you’re after peace and quiet, the Pradollano Plaza is a great recommendation, with multiple tapas bars in the area that offer a relaxed atmosphere and delicious Spanish food. Hotels, chalets and apartments are in abundance across Spain’s ski resorts, offering travellers plenty of options to choose from during their stay. One of the top accommodations to choose from is Hotel Tuc Blanc, which boasts a Jacuzzi, sauna and an indoor pool among other great facilities. Sierra Nevada is just one hour away from Malaga Airport, while Formigal is located just an hour and 30 minutes from Huesca Airport, while the closest to Baqueira is Lleida-Alguaire.